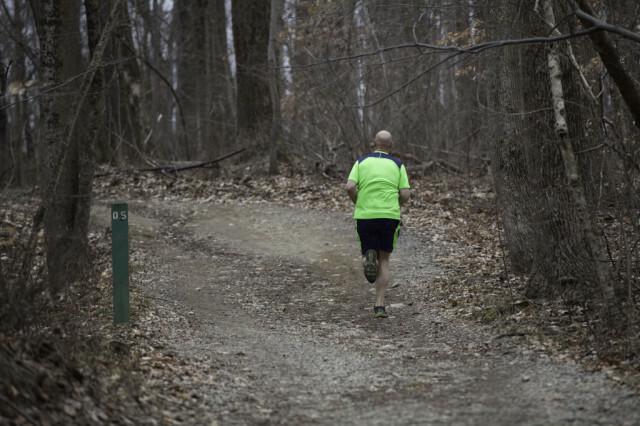 A stone’s throw from Arlington Boulevard in Fairfax, a narrow passage through the woods leads six miles to Lake Accotink, one of Northern Virginia’s great trails. Following the Cross County Trail, one of two trails maintained by Fairfax County, you can reach this lake for a 16-, 20- or 24-mile run. The sky (and your endurance) is the limit. Start at the southern end of Route 50’s intersection with Nutley Street. There’s parking along Arlington Boulevard, but the CUE bus also makes a stop near the corner, a few minutes after leaving the Vienna Metro station. The first few minutes of the run follow a paved trail; don’t worry, it gets better. Bear to the left at the first juncture and follow the now-dirt trail across Barkley Street, Prosperity Avenue and Woodburn Road. You’ll follow signs reading “CCT” each way. Almost four miles in, you’ll cross under Little River Turnpike’s ramps to the Beltway. Hang a left around the baseball field and follow Accotink Parkway until it ends. Take a right and cross the creek, then a left to follow the trail into Wakefield Park, where you’ll follow some power lines and loosely-packed dirt. Shortly after you pass under Braddock Road, you’ll hit six miles and the Lake Accotink loop. Running clockwise, you’ll follow signs for the marina and, depending on the season, be treated to glimpses of the train trestle on the lake’s southern end. Almost eight miles in, you’ll see an uptick in walkers; that’s because you’re approaching the marina, with seasonal bathrooms and a water fountain. Continue behind the dam and prepare for a short but steep climb to reach the trail. Follow it until a short downhill carries you to a residential street — Danbury Forest. Head up the hill, past Kings Glen Elementary, and pick up the trail on the right after Lonsdale Drive. At the bottom of the ramp, take a right at the kiosk, over a bridge and back to roughly the six mile mark. Loop around the lake again or head back, you’ve covered about 10 miles so far. When driving to the loop, you can drop off a drink near Accotink Parkway for aid at four and 12 or 16 miles. I tend to get thirsty with four miles to go. 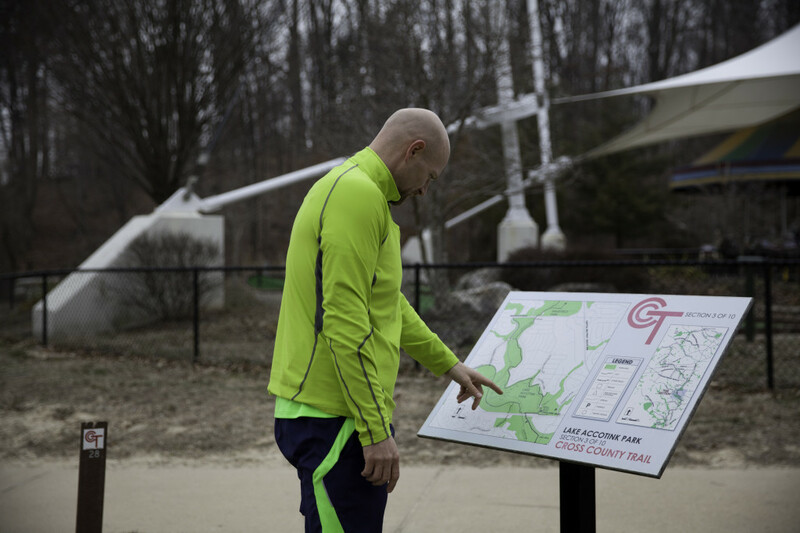 Beware the gnats at dusk in the spring, but otherwise the loop offers a great, quiet long run that’s transit accessible and offers multiple pleasant loops with seasonal water and bathrooms. Half a mile up Nutley, you can refuel at the grocery store or the variety of restaurants in the shopping center. This article originally appeared in the November/December 2012 issue of RunWashington.